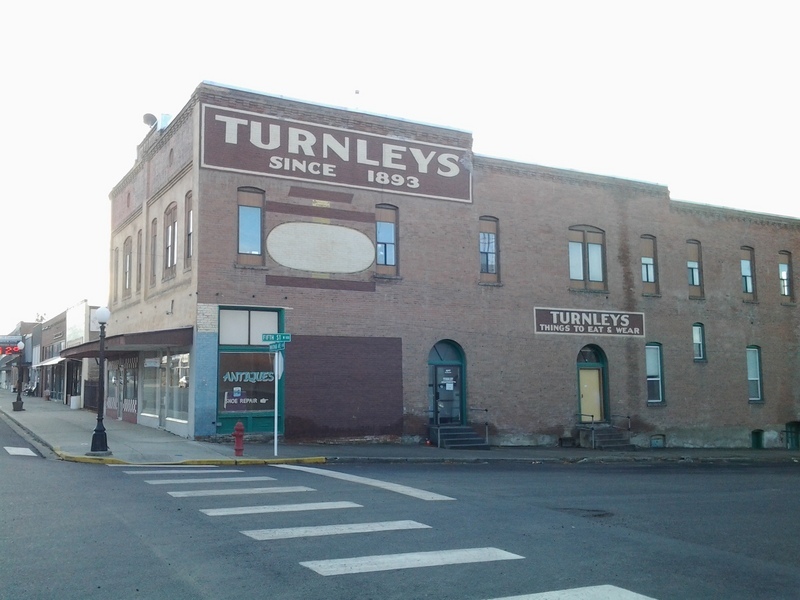 Welcome to Rosalia, Washington, a town whose history is very similar to the other agricultural communities of the Palouse. Rosalia was first settled in 1872 and was named after the wife of the town's founder John Favorite. Rosalia's existence is due to the Indian Appropriations Act of 1871 which opened up native lands in the Northwest to the white settlers who were arriving in droves. As Indian lands were appropriated, area tribes were forced onto reservations away from their ancestral homelands. Rosalia grew quickly in the first decades, fueled by the rich soil of the Palouse. 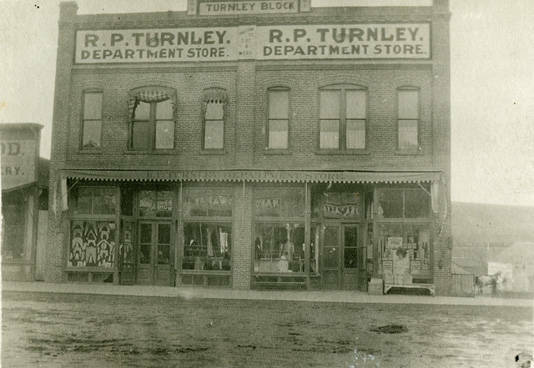 Brick buildings popped up along Whitman Avenue, and Rosalia boasted a bank, a movie theater, and other businesses to serve the farmers in the surrounding countryside. 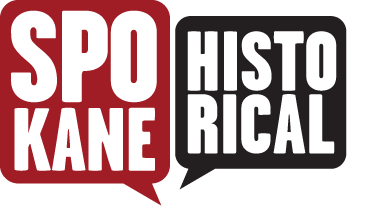 In 1872, two brothers William and Tom Donahue were digging a drainage ditch near a spring when they discovered some very large bones, including tusks. The leg bones measured 10 feet and the skull weighed in at 800 pounds. These happened to be the bones of a 9,000 year old mastodon, which were sold to a Californian man who then eventually sold them to the Field Museum in Chicago. These mastodon bones are still on display at the museum. 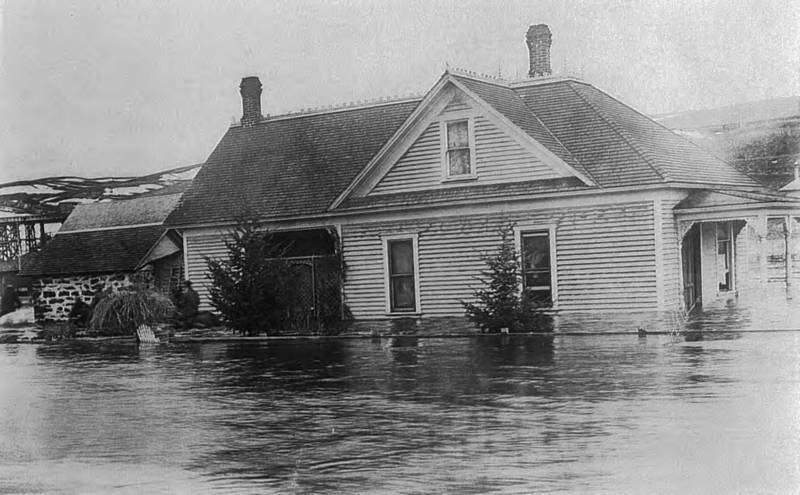 1910 was an eventful year for Rosalia as record snowfalls and an early spring thaw swelled Pine Creek far beyond its banks. 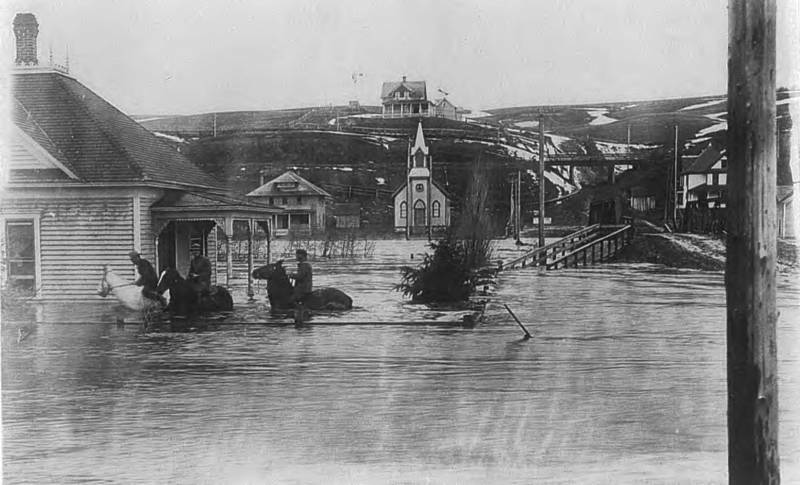 The town became inundated under as much as five feet of water as homes and crops were destroyed by the rising tide. Looking at Pine Creek today it is difficult to imagine the tiny stream as being capable of creating the amount of damage that occurred in 1910. 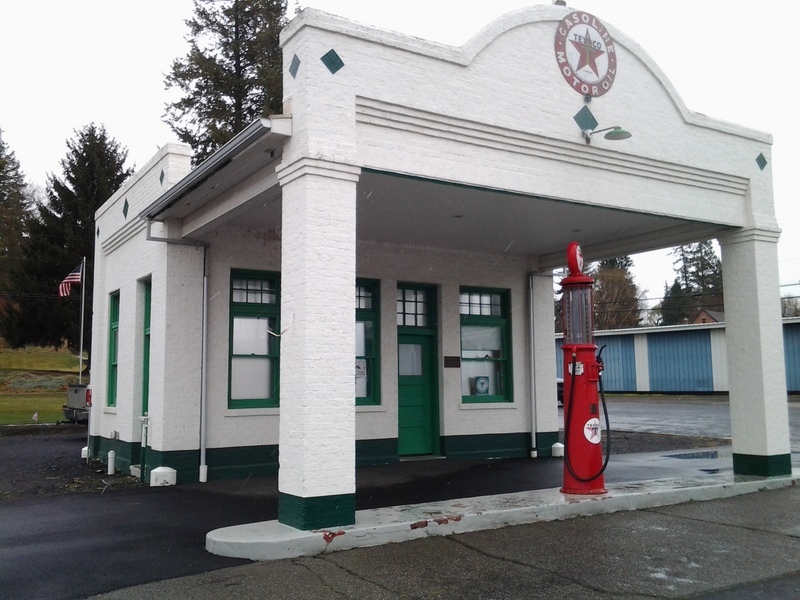 One of the most noticeable attractions found in Rosalia is the Texaco Central Service Station on 534 Whitman Street. 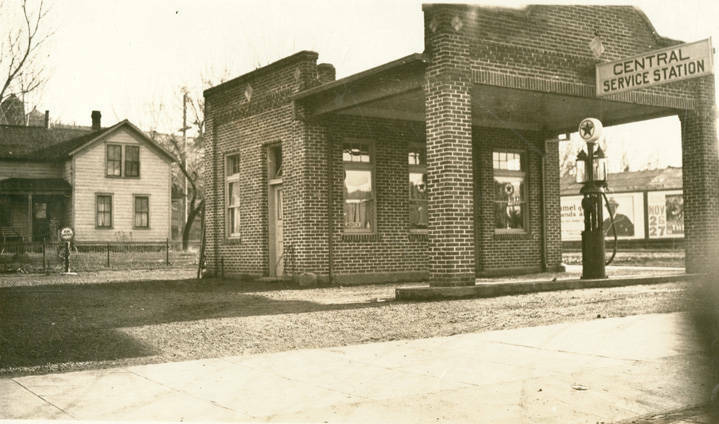 Built in 1923, by Charles Hall, the Central Service Station was one of the first gas stations in the area, and one of the only stations in Rosalia for many years. The Hall family operated the station until 1980 when it was closed down. 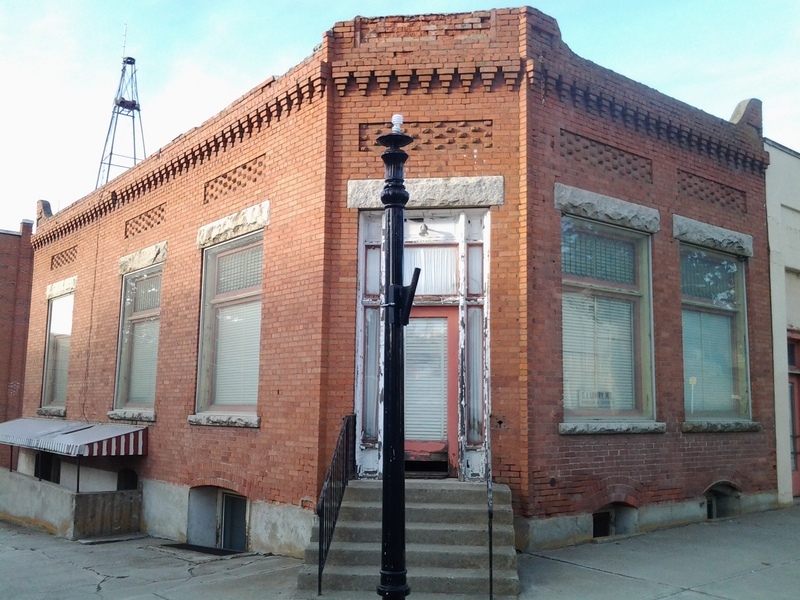 In 2000 the family donated the vacant building to the Rosalia Chamber of Commerce. It has since been maintained in its original fashion ever since the remodel and is now the town's visitor/tourist center. Central Service Station,2013: This is what the Rosalia Central Service Staion currently looks like. Although the building has been painted,it otherwise remains the same as when it was first built in 1923. Image by author,2013. 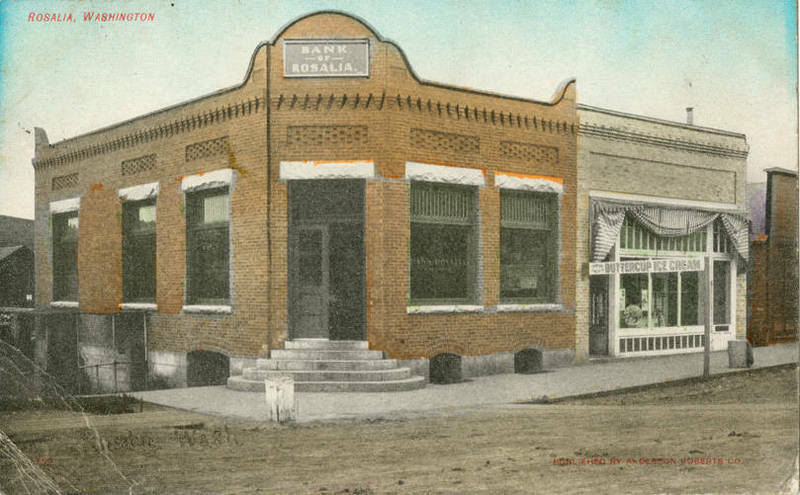 Old Rosalia Bank,2013: The Bank of Rosalia building is no longer a bank,or any business for that matter. This run-down structure housed the town's only financial instiution for many years,and after the bank's closure it became a doctor's office. It is currrently unoccupied. Image by author,2013. Whitman Street,2013: A view of Whitman Street looking northwest. 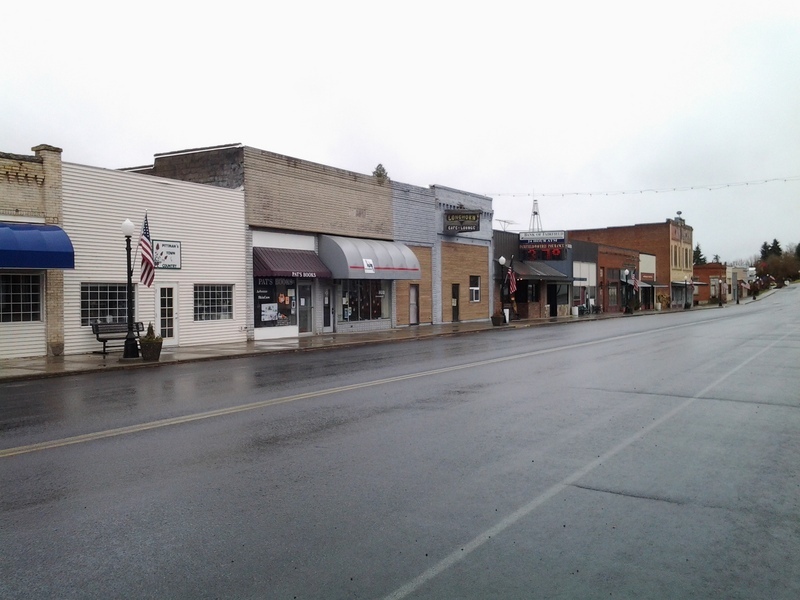 Much of the town's original buildings still remain. Image by author,2013. 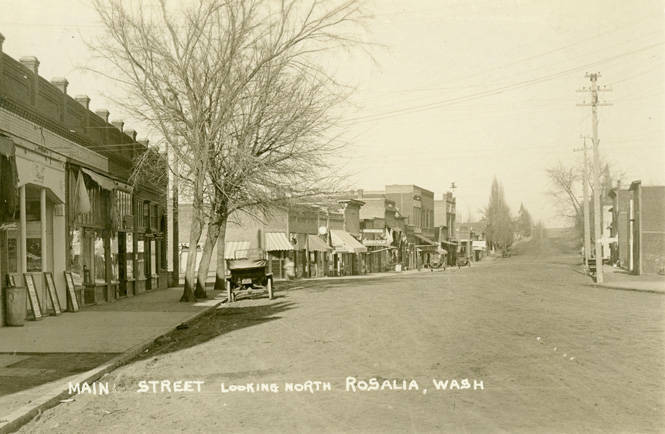 Robert M. Lambeth, “Rosalia,WA,” Spokane Historical, accessed April 20, 2019, https://spokanehistorical.org/items/show/373.